1967 announced itself while I was in the middle of a strange growth period. The things I loved most, the toys, and the TV shows were changing, and sadly, so was I. 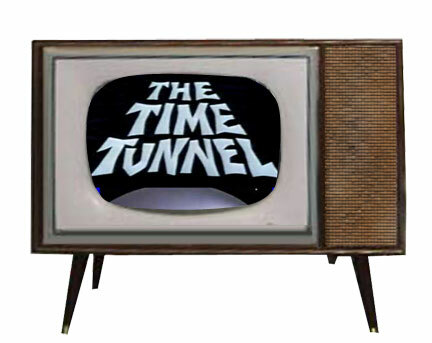 Though this magnificent show known as "The Time Tunnel" premiered in 1966, I was more into it by 1967. Other great shows were soon to follow. "Batman" was still the jewel of prime time, but new additions were fitting nicely into prime time slots. "The Green Hornet" began to steal Batman's thunder by giving us all an unexpected miracle: Bruce Lee. Fist fights were pretty much standard, but this crazy guy in black, jumping, kicking, screaming, and dispensing multitudes of opponents (often at once), was unbelievable! Soon, "Green Hornet" was on the lips of everyone at school. "Daktari" with Clarence the cross-eyed lion was new as were shows like "Garrison's Gorillas", "Green Acres" (who can forget Arnold Ziffel? ), "The Mothers in Law", "The FBI", "That Girl", "The Rat Patrol", "Hogan's Heroes," "Mannix", "Petticoat Junction", and the ever-popular "Wild, Wild West." "Gentle Ben", "Family affair", "He and She", and great westerns like "The High Chaparral" and "The Big Valley" became my regular favorites. I tried as much as I felt was humanly possible to like "Here Come the Brides", but it was only tolerable, and useful only for passing time that couldn't be spent elsewhere. Bonehead comedies like "Mr. Terrific" and "Captain Nice"were highly entertaining but on competing time slots. I have to admit that I leaned more toward Captain Nice as he looked completely idiotic hung up in a roof antenna. 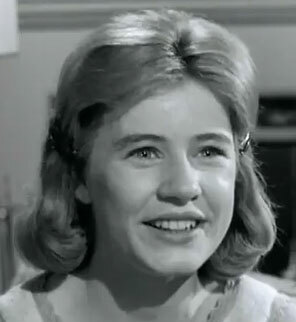 Patty Duke single-handedly opened my eyes to the fact that perhaps girls weren't so bad after all. She was like America's girlfriend, the bouncy-bee-bopping-girl-next-door that charmed us weekly by playing not only Patty Lane, but her gorgeously demure cousin Cathy, a shy and bookish British import. Further noticings of female prime time stars were Paula Prentiss from the show "He and She", and everybody's sweetheart Linda Evans as "Audra" from the "Big Valley". In my 1967 class, it was considered quite acceptable to have a crush on Miss Evans. Soon, I had my own favorite TV actresses. 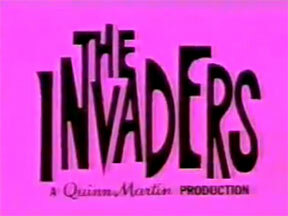 Sci-fi was beginning to rock the house as well, and though it seemed more like an adult thriller than a kid-oriented effects fest, "The Invaders" had me completely spellbound. I bought the model kit of the flying saucer because it was so realistic, and so much like the actual photos of UFO's in the Project Blue Book magazine. 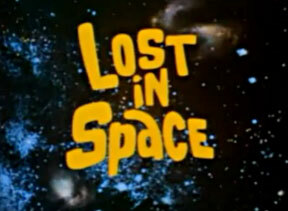 For some odd reason, "Lost in Space" was more important to me than "Star Trek". I can't recall if they fought each other in the same time slots only different channels or not. I just remember that Lost in Space was my favorite and won out. Upon reflection, had I ever watched an episode of "Star Trek" in its prime time slot, I never would've gone back to Lost in Space. Horror shows were sadly missing in this new era of television, and I'd mourned the loss of the "The Outer Limits" ever since its network demise. However, "The Alfred Hitchcock Hour" was great, and ran in syndication, as did the superior program "Thriller" featuring host Boris Karloff. 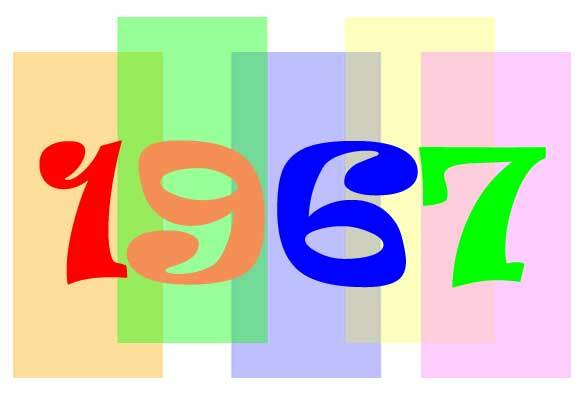 What's interesting is to note that with the latter 60's came the band with the oddest names and brightest colors. Pyschedelia was moving in, and The Summer of Love was going strong. The Beatles were still dominating the hit parade with an onslaught of hits. A second favorite of mine was "Penny Lane". A new force in the business were The Mamas & The Papas who re-introduced pop singing as a group, and made a difficult style to transition into the new 60's, quite acceptable. The vocals were forceful, and dynamic, and no doubt paved an easier road for future acts such as "Abba" to follow. Singing groups were on their way out, but The Mamas & The Papas proved that they were at the top of their game. A very innovative teacher at Kellogg school in 1967 named Mr. Pennings introduced me to my first experiences with an unusual new musical group known then as The Doors. The song "Light My Fire" was as near a renaissance experience as I could ever dream of during that prophetic spring of 1967. For Mr. Pennings, "The Doors" were a revelation; something new that would forever change the face of the 60's movement. How correct he was, and I admired him for playing the album on a small record player in the classroom. The grinding, continual rhythm, and sensuous darkness that would hallmark the latter 60's music, was probably the greatest thing I'd ever heard. To this day when I hear the song, I'm back in that classroom in 1967. The Doors were only a part of the great colorful period of 1967. Everything was young and bright, and it all exploded in color and powerful music. From that first listening of "Light My Fire," I was hooked on The Doors forever. 1967 was my awakening to a new revolution going on in the country. '67 was a year of change that thrust me further toward adolescence and newer, more brilliant discoveries. Styles were going crazy; patterns, decor, and a new burst of energy were a wave that I was happy to be caught up in. Women gave us the best styles the world would ever see: heavy eyeliner, false eyelashes, white/neon lipsticks, the mini-skirt, go-go boots, and big hair. We were moving into the "Go-Go" age. Men grew sideburns-some great, others horrible (as the "mutton chops")-and hair was longer than before. The Summer of Love was in full swing, though I was more aware of the music and the changing of attitudes than the actual event. The music was definitely changing, and one of the first groups that ever captured my ear -besides The Doors-were The Mamas & The Papas". While other bands were experimenting with heavy power chords, these four individuals were using their own vocals in the same manner. Strong, forceful harmonies that echoed inside my brain with a certain unforgettable sweetness, were those of The Mamas and Papas. Love beads were beginning to appear en masse, and by this time, any guy old enough to grow them, had long, styled sideburns. The summer of love groove was everywhere; you couldn't escape it, nor did you ever want to. I consider this period to be one of the shiniest moments ever in history. 1966 was perhaps the true turning point of an era that would bookmark The Summer of Love. Songs like "Magic Bus" from a sub-psychedelic band known strangely as The Who readied an entire generation. Probably the most iconic band of this period would have to be The Strawberry Alarm Clock and their timeless hit "Incense and Peppermints". This song was my personal introduction to a new wave of music known as "Pyschedelic". Other bands hopped on the band wagon as well, The Ultimate Spinach, The Velvet Underground, The Electric Prunes and The Soft Machine. One of the most unique bands that would ever leave its permanent mark on the world would be a British act known then as The Pink Floyd. Two years later men would actually walk on the moon while we watched it all from our TV screens! Thanks to Bruce Lee, "Karate and Judo" were hot commodities(even though he advocated Chinese Gung Fu and moreover, his own technique of "Jeet Kune Do"). Even politics seemed a bit more hopeful than ever, and the rise of Robert Kennedy excited people more than I had seen in many years since the passing of his brother. I actually got to see him campaign. The Beatles would once again reign superior in the following year with an experimental mine field simply called "The White Album." In October of 1967, our school had a carnival in the gym. The admission was free, and it began around 6:30 pm. It was fun, and I only remember it because of the wonderful ambiance of near-Halloween. It was great to be out walking in the cool autumn air. Chilly gusts of wind blew scratching dead leaves across dry asphalt. Shadows were only more intense, and I had the song "Spooky" by the Classics IV going through my head. It was one of my favorite songs. In school, our teacher encouraged reading by having us buy a book for ourselves through a special catalog. It was great to actually buy my own book. We had to read it, then give a report on it. The book I bought was an anthology of ghost stories that I remember to this day. 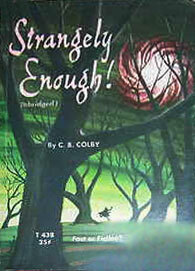 It's called "Strangely Enough" by C.B. Colby.